We're in the midst of the best job market in nearly 50 years, with record-low unemployment rates. While this has been a boom for job seekers, employers increasingly face fierce competition for talent. This dynamic can be particularly difficult for nonprofit organizations, who often cannot compete on salary. But nonprofits also have strategic advantages in a tight labor market. Mac Prichard, founder and publisher of Mac's List, will share simple strategies you can use to attract and retain the right staff for your nonprofit organization. A recording of this webinar will be available to all attendees following the webinar. This event focuses on Financial Oversight, Governance, and Legal Compliance & Transparency. For additional resources in this category, visit: Purpose & Strategy and Human Resources & Operations. Mac Prichard is the founder and publisher of Mac’s List, an online job board that connects talented professionals with meaningful, local work opportunities. 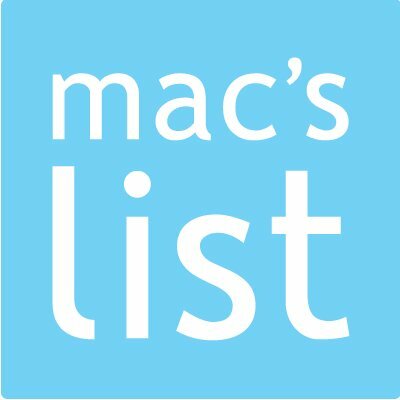 Founded in Portland, Oregon in 2001, Mac’s List serves job seekers and employers with a job board as well as courses, books, events, and other resources that bring people together to find better jobs and happier careers. Mac built two small businesses on the strength of his professional network, and he has taught thousands of people how to grow their careers through relationships with others. Mac shows job seekers and employers how to break down the barriers between them by teaching preparation, empathy, and people-focused hiring practices with a practical, nuts-and-bolts style that’s accessible for everyone. Mac believes in the power of business as a force for good, and both his businesses are registered B Corporations. He is also the author of “Land Your Dream Job Anywhere” and host of the weekly career advice podcast Find Your Dream Job. Mac is a graduate of the University of Iowa and Harvard University’s Kennedy School of Government. This webinar is hosted on Mac's List's platform. After registration, you will receive further instructions on how to access the webinar on this platform. Please contact training@nonprofitoregon.org with questions. NAO Members must be logged in to receive member rate. Discount will be applied at checkout. If you are having difficulties registering contact training@nonprofitoregon.org or by calling 503-239-4001 ext. 123.